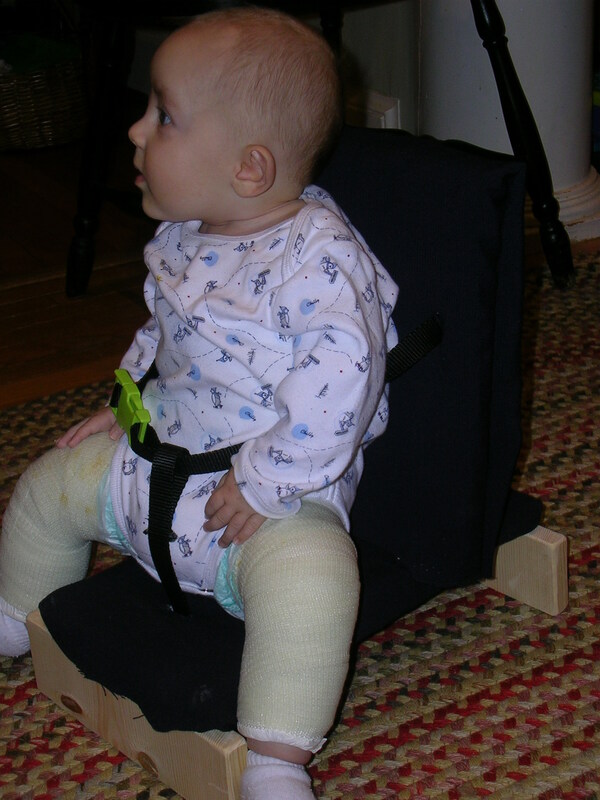 When babies are young you typically move them from container to container… ie, from the bumbo to the bouncy seat, from the bouncy seat to the swing, etc… But John didn’t fit into any of those once he had the spica cast. So, I decided to make John his own chair. All I did was wrap a couple 1×6 boards with batting and blue fabric, then screwed them together to make a chair. I cut a couple holes into the chair for straps to hold John on the chair. Here’s a view of the chair that shows pretty much how I made it. 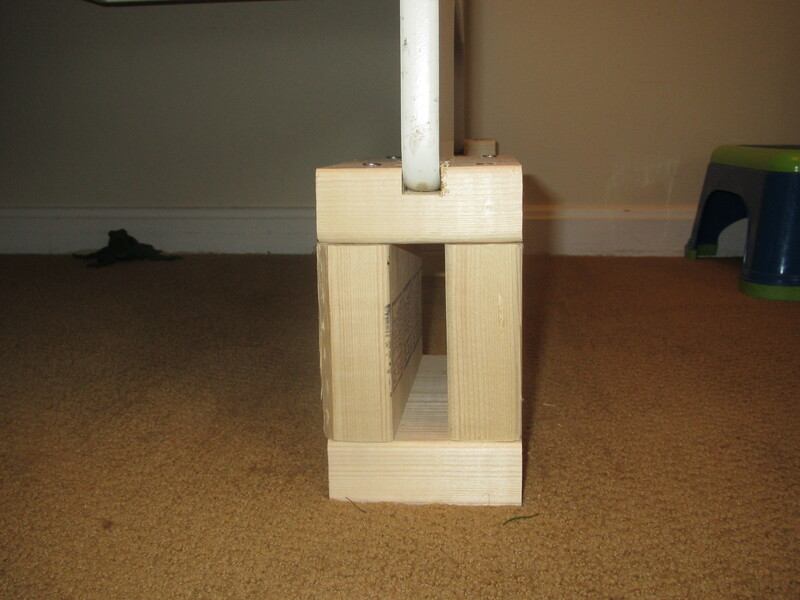 I made the length extra long to help it be more stable in pitch, and I used a couple boards to lift it from the ground to make room for his feet, and to give more stability in the heeling direction. The second picture shows John in his chair at a restaurant. John definitely couldn’t fit in the booster seats or high chairs in the restaurants – so this way, we could bring our own. I built a walker for John out of PVC pipe that was much easier for him to maneuver than the traditional aluminum walkers. I admit, the aluminum walkers are very sturdy – much more sturdy than the PVC walker, but because of that they are heavy and difficult for a child with low tone to move around. 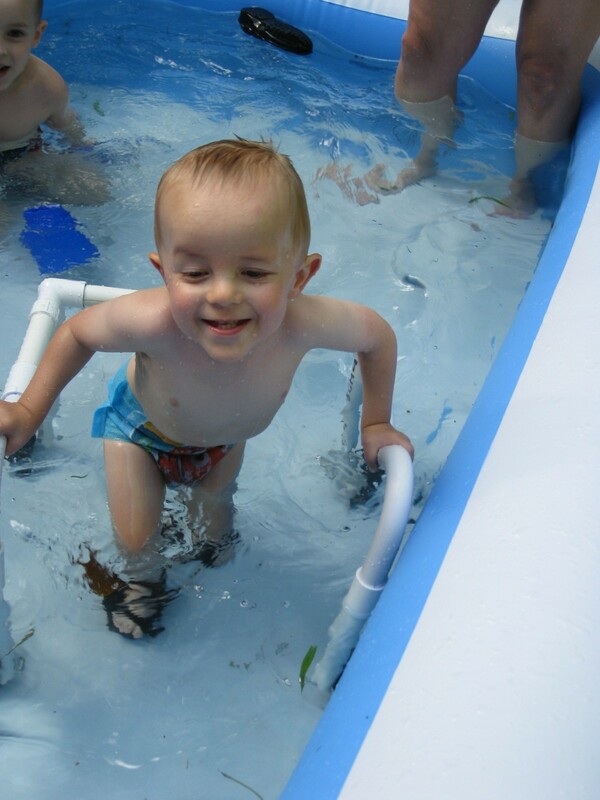 John was able to use the walker at the beach, and swimming pool. Plus he could get around in the house more easily, too. A friend of ours modified his mother-in-laws wheelchair for John to drive around the yard. This has been great for John and our whole family. Thank you Tyler! We ended up working on the baseball bat concept that I describe in the Ideas section. Here’s the outcome. I really like this modification. As John is growing it’s been getting harder to put his clothes on. 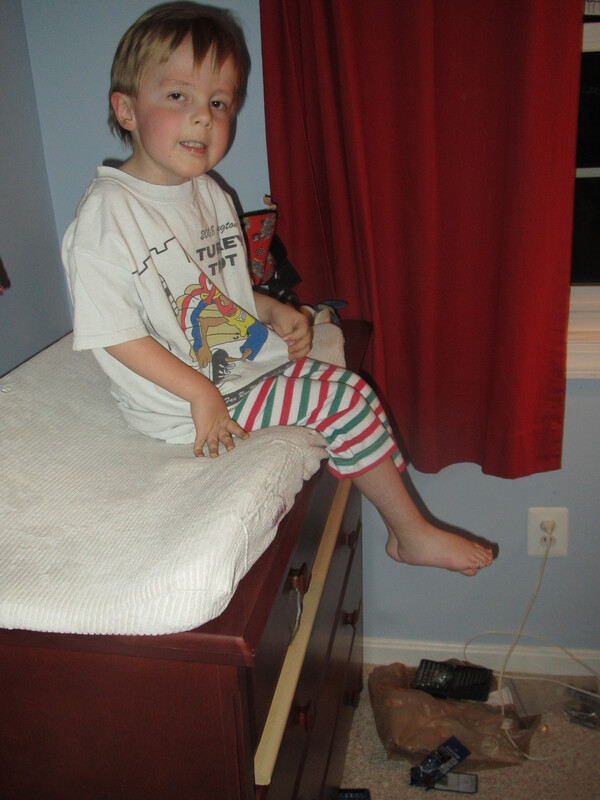 He sits on his dresser with his legs hanging over the edge. 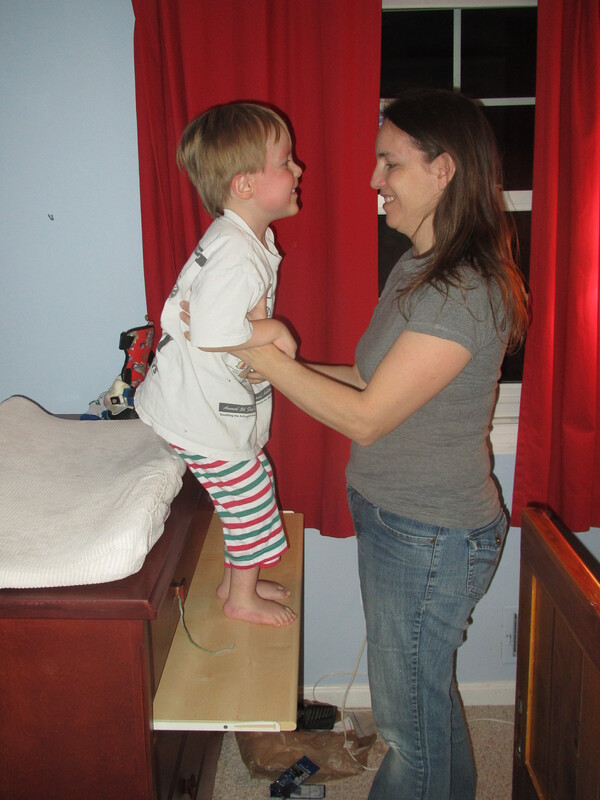 I put his pants over his feet, but then I have to lift him up to standing on the dresser to get his pants the rest of the way up. So, what I did was really simple. I added a pull out shelf to his dresser. 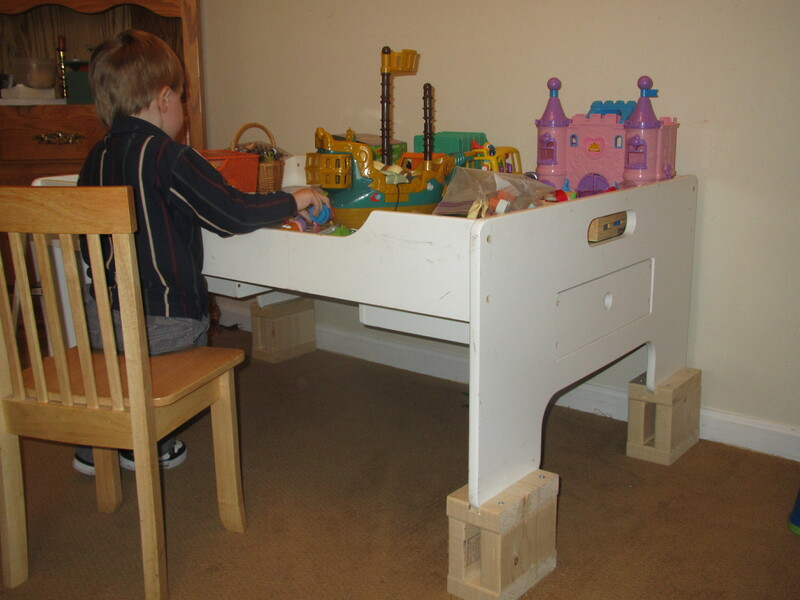 It helped that his dresser already had a space between the first and second drawers. All I needed to do was to buy some drawer slides from Home Depot and install an extra shelf that we already had in the garage. Now, after I put his pants over his feet, I pull out the shelf and voila! he is able to stand up himself and I pull his pants the rest of the way up. We looked at buying a bathtub seat for John, but they were all big and clunky, and we didn’t think they would work well for us — especially since the bathroom is used by more than one person. 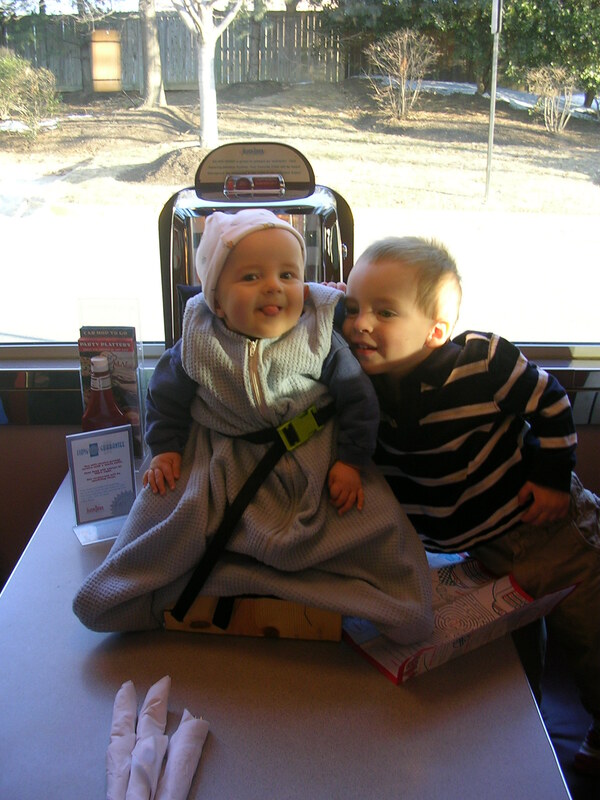 We just discovered by accident that a plastic booster seat is perfect for what we need right now. 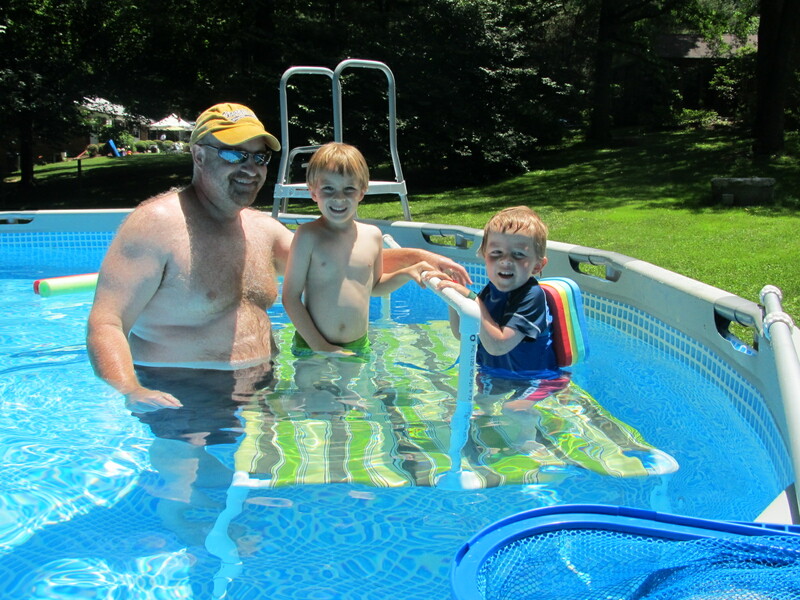 Great idea for the pool lift, and the pvc platforms. I have a 5 y.o. special needs daughter. We were just given an outdoor pool, but I needed to come up with a way to get her into and out of the pool safely. I’m sure you ideas posted have been an inspiration to many. Wishing the best for you and your family. Thanks, I appreciate your comments. I hope you’re able to figure out a way to make good use of the pool!